Time for my third dividend update. Can you pick the spot where in the dividend graph below I decided that the house was paid off enough to start putting some of my money into shares rather than just paying off more of the mortgage? Or how about the point in the interest graph where the house was fully paid off and the mortgage payments were redirected to savings? Graphs are good at showing changes and progress, and that is why I love them – especially for passive income. The dividend income is listed against the half of the year in which a company performed the work that created the profit. The interest income is listed against the month in which it was paid. 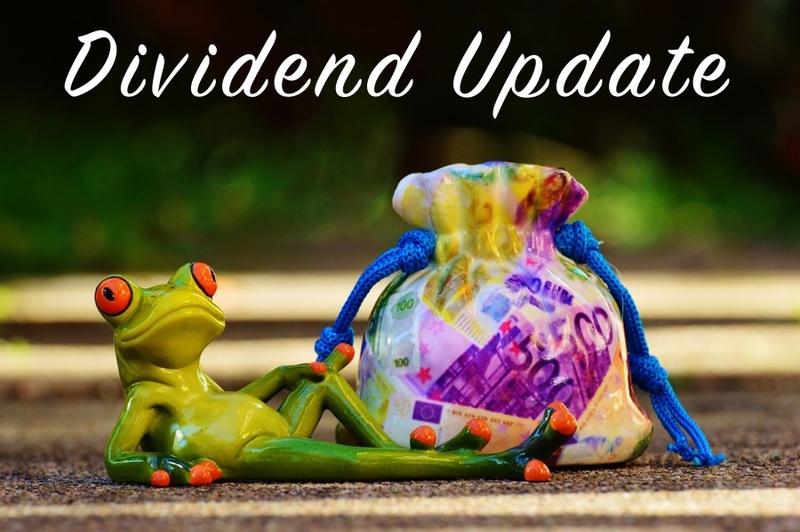 As dividends are paid twice a year in Australia, I track dividend payments based on the end date for the half in which the company earned the money from which they will pay me. So when a company conducts business from the 1st of Jan 2015 until the 30th of June 2015, and then pays a dividend for that period on the 20th of October 2015, I will record that dividend under “2015 Jun”. I also track the grossed up dividends before any tax I pay. Each month I record the total pretax interest that I receive for all savings accounts, term deposits and now bonds. This is recorded in the month that the money hits my bank account, and is graphed on a month by month basis. Oh boy, do I like watching those dividends shoot for the sky. I just wish I didn’t have to wait so long between them! The increase you see below is from additional purchases that have been made some time ago now. Depending on when you buy them, share dividends can take 6 months (or a little more if you are unlucky) to show up on the books. Based on subsequent share purchases, I am also expecting another rise for Dec 2016 (once we get there). It probably won’t be along the same trajectory, but I am hoping it will cross the $1,400 mark. I keep on having to remind myself that the dividend graph is 6 months at a time, whereas the intrest graph is monthly. So when I spike at $1,000 in interest, it is similar to $6,000 for shares. Not quite, but I will talk about that below. So you will notice what appears to be the start of two nice looking spikes. Those are the little suckers that have ruined my life! Ok, so I may be a little over dramatic. They are the result of some bonds that pay out every quarter. It makes for a less than ideal graph, as the whole reason for the splitting of interest and shares was to avoid those sort of month-on month-off spikes. My plan is foiled! Still, due to the way the income is both paid and reported, it makes it easier to leave it in the income graph. If you don’t like it, I am afraid you are going to have to live with it – as am I. There will probably be a continuing drop in those non-bond months, as more capital is slowly deployed in various ways. I am currently starting to look into various types of peer to peer lending. No moves have been made yet, but it normally takes me a while before I dip my toes into any water. No get rich quick schemes for me. The numbers for this month are below. They are never 100% accurate due to the strange way I calculate dividends, however they should be close enough. I am really looking forward to the average monthly income cracking that magic (albeit arbitrary) thousand dollar mark. Thanks for reading! If you have looked at, invested in, or chose not to invest in peer to peer lending, let me know why in the comments below. I’m not much help, RTW, but when we begin investing before the end of the year, I want to investigate putting a small proportion into Peer to Peer, so I’d be interested in what others say as well, or what you end up discovering. Nice work here RTW! good on you for increasing you’re income and thanks for the update..
Next story How Much Is Enough For Early Retirement?